The first time I pushed “play” on Are You Experienced? by Jimi Hendrix (on a cassette if you remember those! ), it blew me away. This was in the ‘80s after already having heard guitarists like Eddie Van Halen and Eric Clapton. I can’t imagine what it must have been like to hear that sound in 1967 for the first time when there was no other guitarist like him. The ground-breaking impact he had on guitar and the state of music itself is incredible. From the sounds he created to the way he performed on stage, Hendrix changed the face of music. 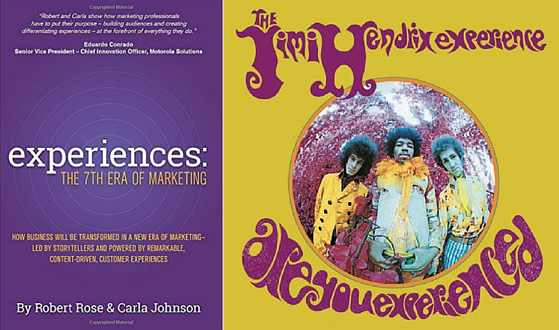 Just like Hendrix ushered in a new era of guitar playing, Robert Rose (@Robert_Rose) and Carla Johnson (@CarlaJohnson) are ushering in a new era of marketing—Experiences. But this time, instead of catching up after the fact, I’m witnessing it firsthand. 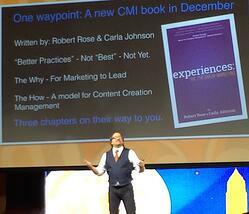 The first notes dropped at Content Marketing World (CMW) 2014. Robert Rose didn’t so much give his presentation about Experiences: The 7th Era of Marketing as he evangelized it. It was uplifting, motivational and educational. All that was missing was the choir in the background, Rose lighting a copy of the book on fire on stage and a thunderous “Amen!” from the congregation (us). From this buildup, this book has a lot to live up to. And, it does without a doubt. Below are a few of the key points I took from reading it. While Rose’s presentation at CMW laid the groundwork, the book pushes us right into the experiences era. The marketing environment has changed, and the role of the marketer needs to expand. Customer relationships are more complex than ever: Customers expect products and services to be excellent. Experiences need to be the differentiating factor for buying decisions. The democratization of content: With so much content available from brands, friends and family, our content has to work harder to stand out. It must be valuable and useful for customers. The marketing department must take a holistic view of the customer experience: We need to be more strategic and create appreciated experiences to build our audiences. Even after we persuade them to buy, we must continue to nurture the relationships to satisfy them and earn their loyalty. Just as Hendrix blew open the role of the lead guitar, Rose and Johnson are redefining the role of marketers. We can no longer be simply considered support for sales and other departments. We need to execute at all aspects of the business and help guide the company’s strategy. Growth Drivers: Marketing is essential to achieving the goals of the organization. Other departments need to recognize our expanded role in executing the overall strategy. Unifiers: We need to collaborate with each department and steer the whole organization toward creating experiences that wow customers. Innovators: We need to use our view of changing customer behaviors to help the rest of the company evolve as customers do. 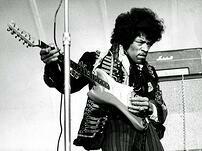 When Jimi Hendrix came on the scene, the rules of guitar playing changed dramatically. Guitarists no longer had to stand in one place with little movement. Those that did were now boring. To see how Hendrix impacted other bands, check out how the Who’s stage show changed after Hendrix. Solution (instead of product): Focus on showing how you meet customer needs, instead of product features. Access (instead of place): Build your strategy to impact each customer experience regardless of the medium or location. Value (instead of price): Emphasize the relationship of price with customer benefits instead of comparing to your costs and competitors. Education (instead of promotion): Offer content to highlight how you solve specific customer needs rather than generic mass marketing messaging. So with this new marketing era, how do we get there? We need to think about content, marketing and experiences in a new way. The marketing team needs to manage content to focus on experiences while also being strategic. Content is an ongoing process and not a campaign with an expiration date. Promoter: Appeals to customers’ needs and wants to drive decisions. Preacher: Helps customers to find your products to drive awareness and engagement. 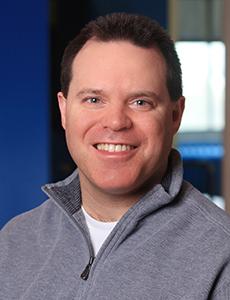 Professor: Fuels interests and passions to drive meaning and establishes your expertise. Poet: Speaks directly to feelings and convictions to drive emotionality to change a belief or spur an action. The key is to balance your content among these four to reach your goals. Customers in different stages of the sales funnel need different types of messages. In the book, the authors also walk you through the framework for a content creation management system. They illustrate success with this approach with case studies and examples. Hendrix couldn’t have brought on a movement in music by himself. Other bands and artists were onto this new phase of rock music and helped to spread its popularity. In the same way, this one book couldn’t bring about a new era of marketing by itself. It may be the best examination of a new age, but it needs support from other thought leaders to reinforce the movement. College marketing courses could (and should) use this book as a textbook. I recommend it for all marketers. As we navigate the new Experiences era of marketing, Rose and Johnson have set the stage for success. In the words of Jimi Hendrix, “Are you experienced? Well, I am.“ You will be too. What’s your take on the idea of Experiences being the next era? Do you agree or do you think this is just another buzzword of the day? Tell us your thoughts in the comments below?